The siren song of inbound sounds so good. Pick some keywords. Write some blog posts. Share them on social media. Put up some landing pages. And, let the leads roll in. Anyone who’s ever been involved in implementing a successful inbound marketing program knows that nothing is further from the truth. It’s hard – extraordinarily hard – work. The reality is that there’s only one reason to put forth all of the effort, and that’s there’s no other strategy that’s better at generating and supporting high quality leads. Here’s my question for you: what strategy or tactic is currently at your disposal that is easy and drives consistent, sustainable and scalable revenue growth? If you have an answer to that question, do more of that. For the rest of us, everything we do to grow a business is hard work, and inbound marketing is no exception. To be successful with an inbound (or any other go-to-market) effort, there are five rules you must follow. For years I’ve written about the rules for creating demand. The first rule is to know and understand your customer better than they know and understand themselves. It’s simply not enough to know about your products and services. You need to be able to see the world from your customer’s eyes. The problem today is that what used to set you apart is now just a ticket to the ballgame. What are the best ways to manage inventory? What’s are the trends in supply chain management? How can your customers manage performance better? The list could go on and on. There’s an old saying that is as true today as it was in the past, people don’t care how much you know, until they know how much you care. In business, this means that you demonstrate an understanding of their world and their problems, and you provide insights that enable them to manage their world better. But, you say, “we don’t have the expertise to provide insight there.” THEN GET IT!!! Not having it is merely an excuse. Your prospects are not waking up in the morning wondering what they can do for you. They’re not even waking up wondering what you can do for them. It’s your job to earn their attention. Two weeks ago I did a double take. I was looking at our weekly traffic analytics and thought I was looking at our monthly report. Okay, that’s a slight exaggeration, but our traffic two weeks ago was what a month was like two years ago. It was also at least 35% above each of the previous four weeks. What’s more, we beat that last week and are on pace to beat it again. What’s the cause for growth? On one hand, I can’t really tell you conclusively. Not only were there no events to account for the traffic, we actually did less outside promotion (guest blogs, etc.) than in previous months. What I can tell you is that we’ve been publishing consistently for years. For the last six months, we’ve hit our three blog posts/week goal every week except one. We’ve been posting to social media. We’ve increased our engagement on LinkedIn and with the greater community. It drives be absolutely bonkers when someone who has been blogging once a week for six months says, “We’ve put in all of this work and we’re not seeing results.” That’s like walking into the Sahara desert, planting some seeds, watering it for a couple of months and complaining there’s no crop yield. Attention and engagement takes time and (a lot of) effort. This is especially true if you don’t have a strong presence and awareness in your market. And before you say it, yes, I understand the frustration, cost and risk associated with what I just said. But, what’s the alternative? 76% of their monthly blog views came from "old" posts (in other words, posts published prior to that month). 92% of their monthly blog leads also came from "old" posts. There is simply no other tactic (at least that I am aware of) that has that type of staying power. When our sales development reps make calls, it’s a cost not an investment; because the only way we can benefit from that is for them to make another call. The same is true for advertising, pay-per-click, and even sales calls. Inbound marketing is a contact sport, and your salespeople need to be engaged in it. They need to share relevant blog posts with clients and prospects. They need to be on LinkedIn reading what the prospects in their groups are posting and asking. Every time I talk with a prospect who is not already active on our website, I consider what blogs posts and premium content we have that I should share. I use the opportunity to see how engaged they really are. If they tell me they’re interested, but they don’t download the tool I sent them that directly related to the conversation we just had; I know I haven’t done my job well. And every interaction we have with prospects and clients is used to evolve our editorial calendar and refine the content we are creating. Inbound marketing does not exist in a vacuum. It must be integrated with a total approach to growth. That means sales development, trade shows, product slicks, sales calls, etc. all need to be working together. 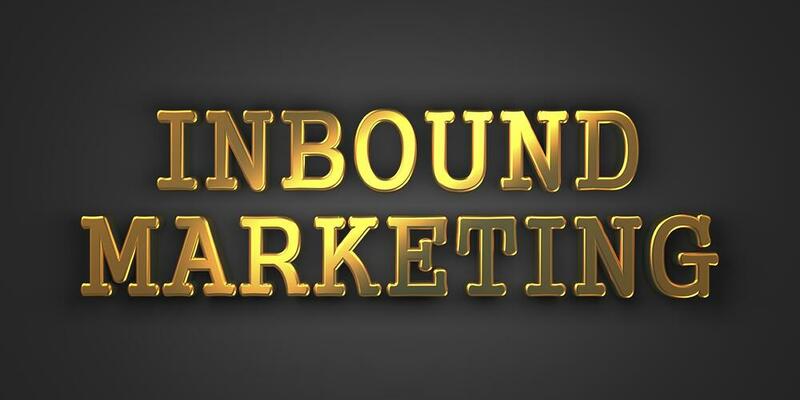 Inbound isn’t a thing you do. Here’s the bottom line. You show me someone who has experienced success with inbound marketing and I’ll show you someone who has invested considerably in the process. Of course, you show me someone who has succeeded with any other approach and you’ll see the same thing.